It’s fall, that means it’s Friday Night Lights season! Are you ready for some football? If so, then you have to check out these stadium approved, functional, and fashionable purses. Now you can carry your stuff, while still adhering to the NFL’s strict bag policy. All stadiums, concert venues, and more have already implemented clear bag policies, and those that haven’t will most likely be doing so very soon. 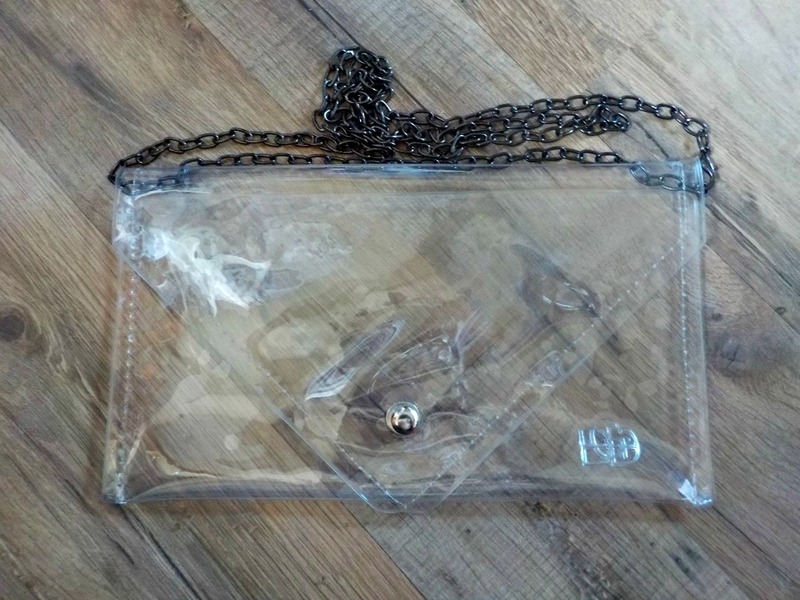 Game Day Divas has created functional clear purses, that look awesome too! Jenn Zalesky is the owner and creator of Game Day Divas. She has designed a patent pending envelope clutch that can be worn many different ways. The chain strap can be adjusted so that it can born and utilized five different ways. Use it as a clutch, crossbody, wristlet, double strap, or a fancy fanny pack. However you choose to wear it, it’s clear, so it adheres to bag policies. Plus it looks great, so you still look fashionable. You can get your Classic Clutch here. You can also choose your chain strap color. They have gold, silver and gun metal. 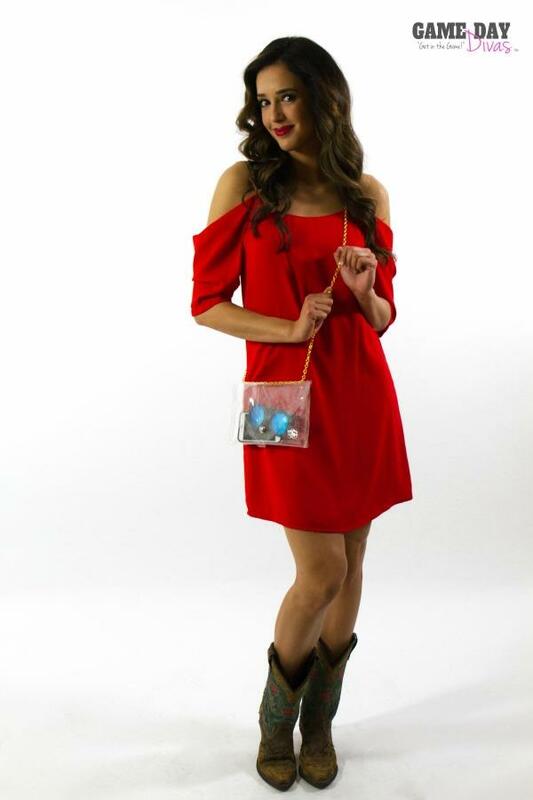 Game Day Divas has teamed up with JagsBlessings and created this Texas Strong clear handbag. Twenty-five percent of every sale of one of these goes to help families affected by Hurricane Harvey and Irma, as well as those affected by fires and flooding in Texas. So grab an awesome bag, and help some families too! In honor of the strength and unity shown by the residents of Las Vegas and America in general, Game Day Divas has created a special design. 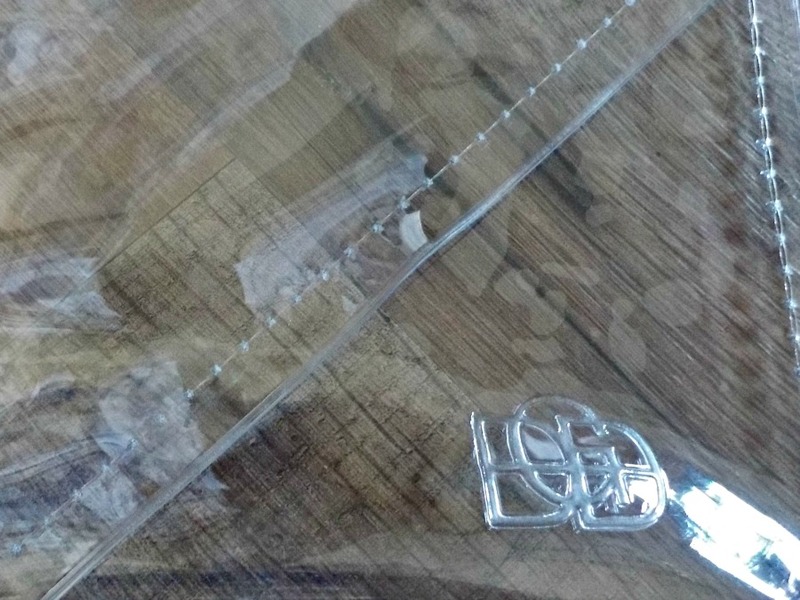 You can get a Vegas Strong clear handbag. Show your love and respect for Vegas. Get yours here. To learn more, head to Game Day Divas website. You can also follow them via Facebook, Twitter, and Instagram.